Regardless if you aim to become a professional mixed martial artist (MMA fighter) or just want to try out this sport for fun, there’s so much that you can gain from training. Like any other form exercise, it can help you get in shape but it can also help you master your body becoming stronger both physically and mentally. 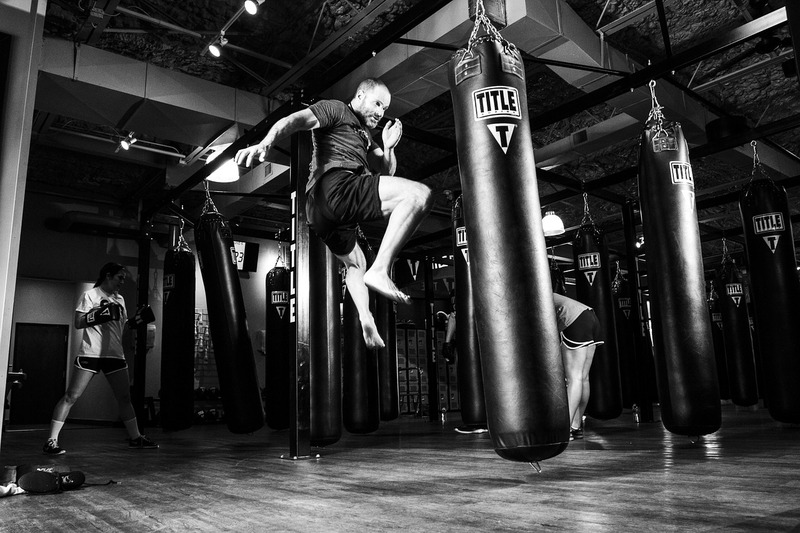 With that in mind and without further ado, here are several benefits of training MMA. While some may argue that martial arts and self-defense aren’t necessarily the same thing, due to the fact that, in the street, there are no rules, the truth is that every bit helps. Sure, you might not know how to land a perfect crouch to the groins, bite one’s ear off or gouge their eyes out. On the other hand, knowing how to land a punch, how to use an arm bar and, most importantly, how to protect yourself (dodge, parry and block). Still, keep in mind that if the other party has a weapon (of any kind), the safest course of action might still be to run away or try to avoid the conflict. If the latter is not an option… strike first… strike hard. One of the greatest problems in martial arts like Aikido and Karate is the fact that these aren’t contact sports (although they teach one some discipline). This is in contrast to sports Boxing or MMA, where you feel the real punch (even if it’s not at its 100 percent capacity) and experience the real pressure. This means that if you ever find yourself in a dangerous scenario, your body and your mind are already accustomed to dealing with pressure. Needless to say, this can translate into an advantage, regardless of whether we’re talking about the street fight or a stressful scenario at work. One more benefit of training MMA is the fact that it’s currently incredibly popular, thus, available to the general public. A couple of decades back, if one wanted to compete in MMA, they had to learn boxing, kickboxing, Muay Thai, wrestling, judo and BJJ as separate sports. Nowadays a person living in NSW can just look for martial arts studio in Sydney and pick the closest or the most reputable one. Moreover, there’s a belief that people who start as MMA fighters have an advantage over people who carry a habit from the previous combat sport. In the end, we have to talk about the effect of MMA on your body. When it comes to physical appearance, burning fat and building muscle, weightlifting is much more efficient. However, this is in a scenario where you love lifting weights or stick with it for a prolonged period of time, then it’s definitely better for physical appearance. However, training MMA is much more fun and, therefore, more likely to keep you interested and dedicated over a longer period of time. Aside from this, it’s also great for your overall conditioning, seeing as how these exercises are diverse and consist of so much HIIT. One more positive side-effect of training MMA lies in the fact that you’ll gain much more self-confidence, which is a great thing regardless of your age, gender or occupation. Who knows, after training for fun, you might feel the urge to start competing. While some may see this sport as too violent, there are indications that it just might be healthier than boxing (due to the lower number of punches to the head). Either way, getting in shape and boosting your self-confidence is never a bad thing.